FAYETTEVILLE, N.C. – 219 Group, a veteran owned advertising and marketing agency, has been named the agency of record for The Mash House, a restaurant and brewery in Fayetteville. They will partner 219 Group for all their advertising and marketing services. 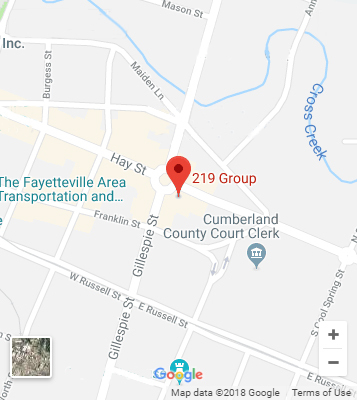 219 Group will assist the Mash House in the development of their strategic advertising plan as well as the execution of it to re-introduce The Mash House to the Fayetteville and Fort Bragg Communities. 219 Group will work in the areas of graphic design, media services, digital marketing, brand development, social media and public relations. “We realized we needed some local marketing and advertising help to tell our story. We felt 219 Group had the right creative talents to help us tell our unique story of our brewery”, said Steven Groveunder, Manager at the Mash House. The Mash House Brewing Company, located on Sycamore Dairy Road, is a destination for steaks, burgers and award-winning beer — hand-crafted on the premises utilizing the traditional methods of Old World brewers. You can learn more about their local beers and food at www.themashhouse.com. “We are excited to help The Mash House promote their brewery and restaurant as a place for local beer, local food and local faces”, said Kirk deViere, President & Owner of 219 Group. 219 Group is a veteran-owned marketing and advertising agency offering a full suite of marketing services to help clients of all sizes, budgets, and types achieve their desired results. Services include brand development, digital services, graphic design, social media marketing, analytics, lead generation, media services, and public relations. For more information about 219 Group please visit www.219group.com.